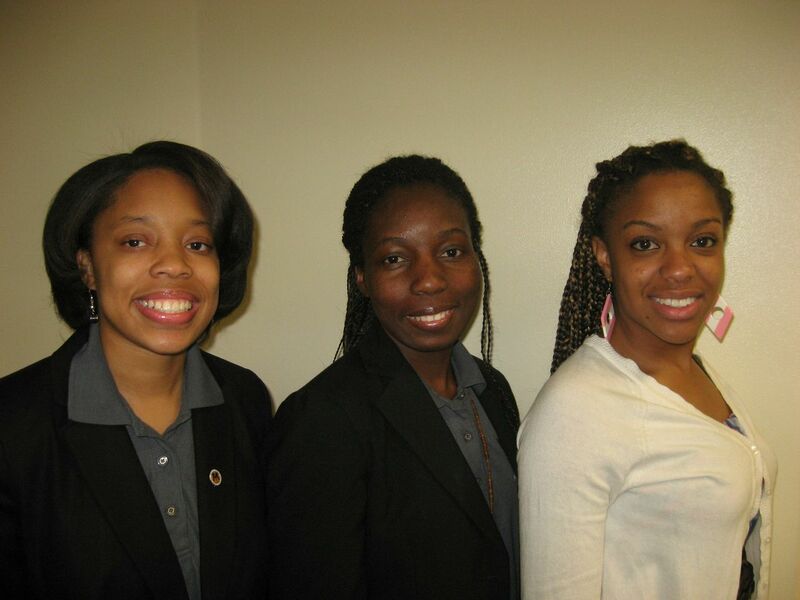 Three College of Agriculture and Human Sciences students received top awards for their achievement at the 28th Career Fair and Training Conference of the National Society for Minorities in Agriculture, Natural Resources and Related Sciences (MANRRS) in Sacramento, CA, March 21 -23. Portrait Plair, a sophomore nutrition major from Los Angeles, CA, won 2nd Place in the Undergraduate Essay Contest. Her essay also focused on the conference theme. Conference activities included workshops focusing on research, professional development and technical skill enhancement. The career fair provided opportunities for students to network with representatives from 57 entities representing governmental agencies, graduate schools and corporations. The 2014 MANRRS Conference will be hosted in Birmingham, AL, March 27-29. This entry was posted on Wednesday, May 1st, 2013 at 9:08 pm and is filed under College of Agriculture and Human Sciences. You can follow any responses to this entry through the RSS 2.0 feed. You can leave a response, or trackback from your own site.